Taking The Charge Podcast Episode 259: We look ahead to the FIBA EuroBasket 2017 – each of the 24 teams. And then for the interviews we jump back to the FIBA U19 Basketball World Cup 2017 with Hamadou Diallo of the US and Angola star Silvio De Sousa. 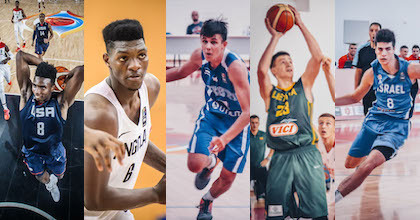 There are also three interviews from FIBA U16 European Championship 2017.